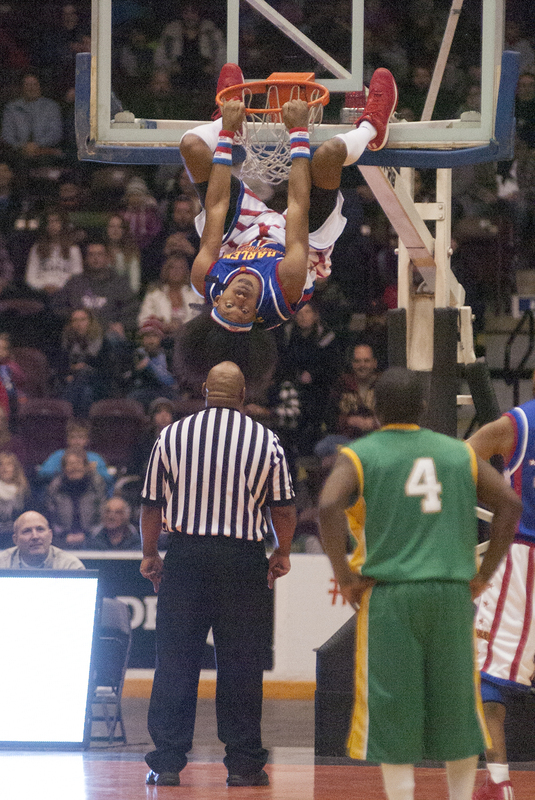 "Moose" gets inverted after making a basket at the GM Centre Feb. 15th. 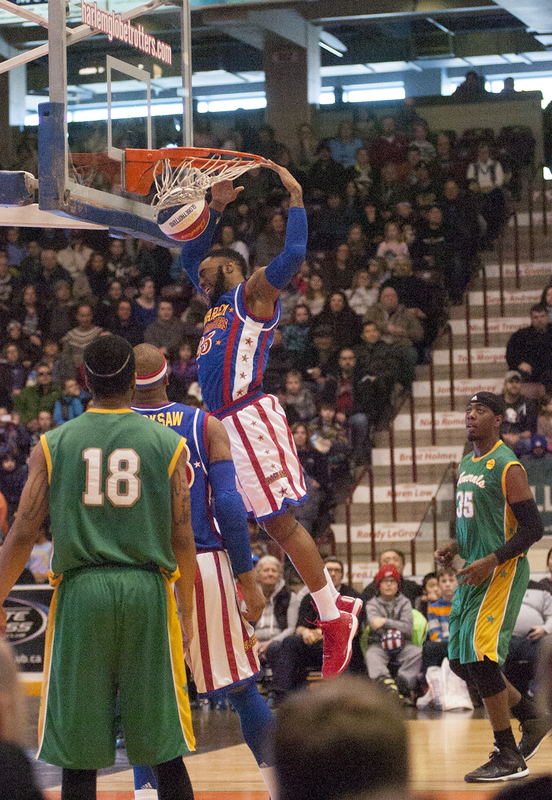 “Crash” makes a big dunk and a big impression on fans at the GM Centre. 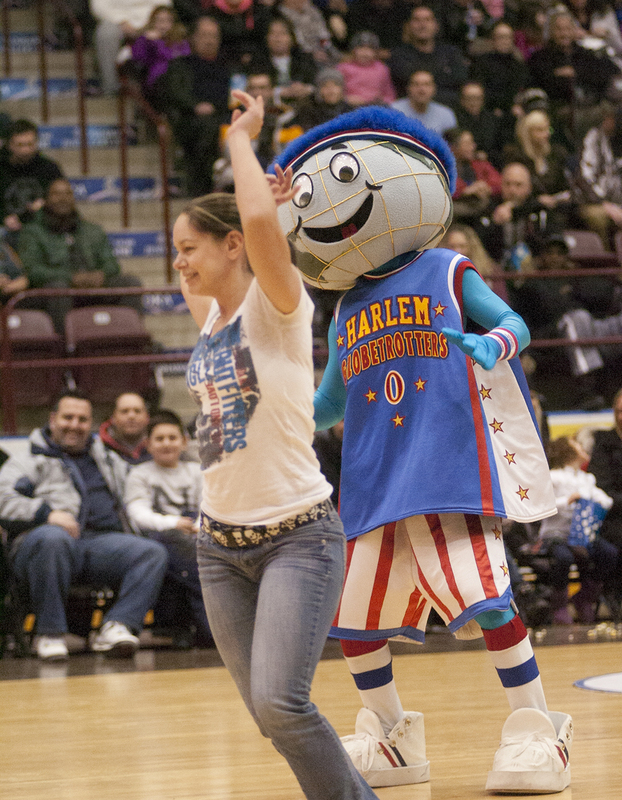 “Globie” the Harlem Globetrotters mascot emcees a fan dance competition. 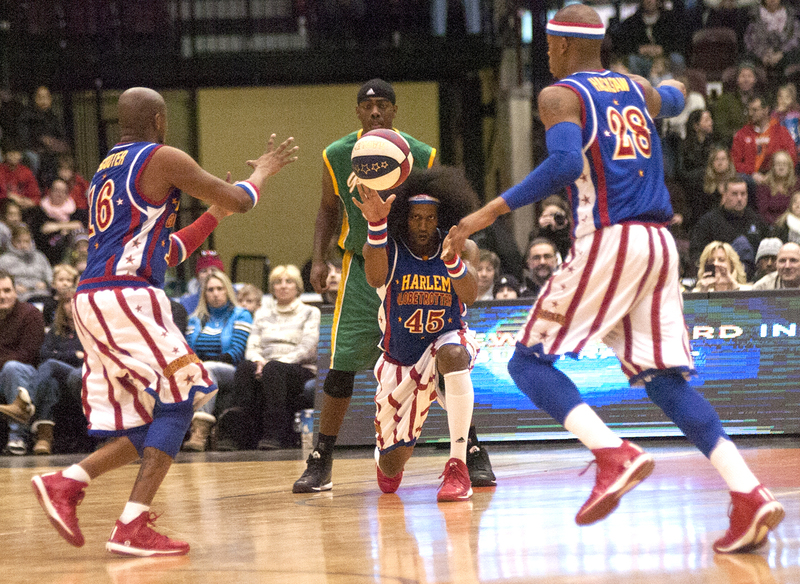 “Moose” passes the ball to his teammates as a member of the Washington Generals looks on. 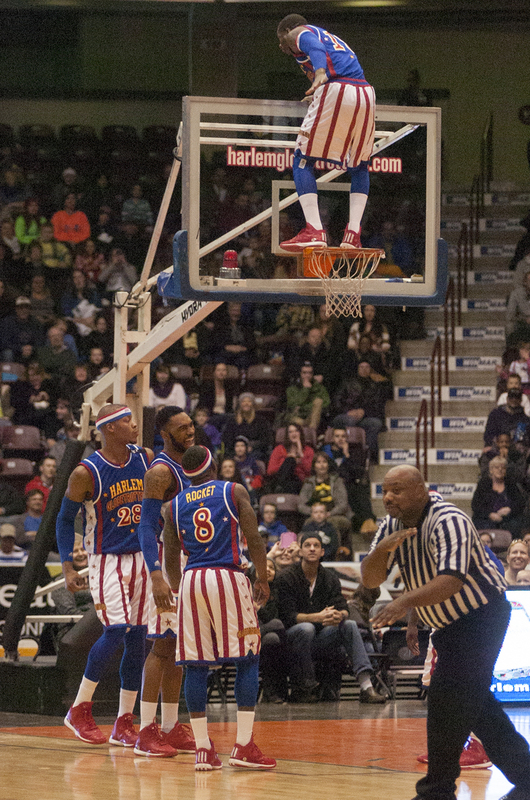 A member of the Harlem Globetrotters appears to have gotten too much air. 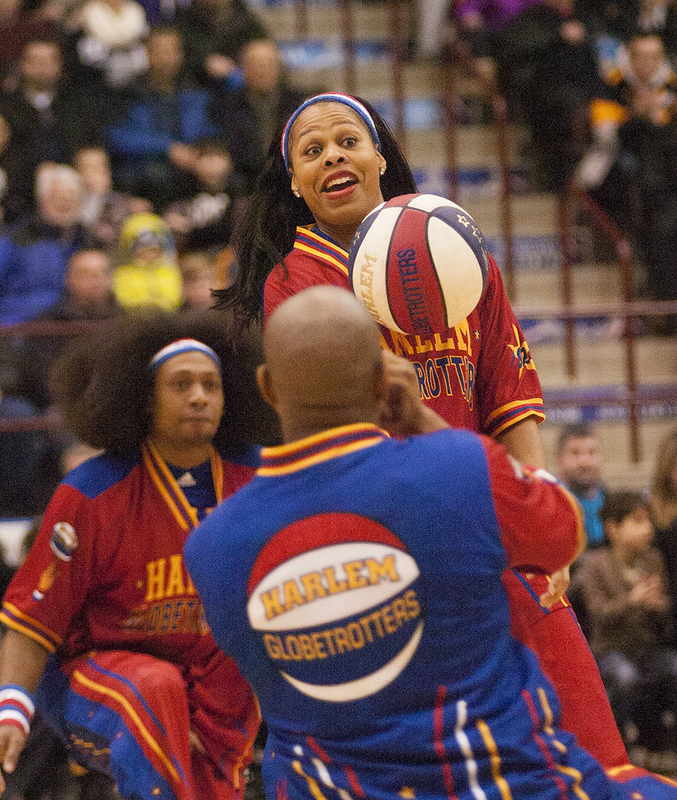 “Sweet J” shows off some of her basketball juggling skills before the start of the game. 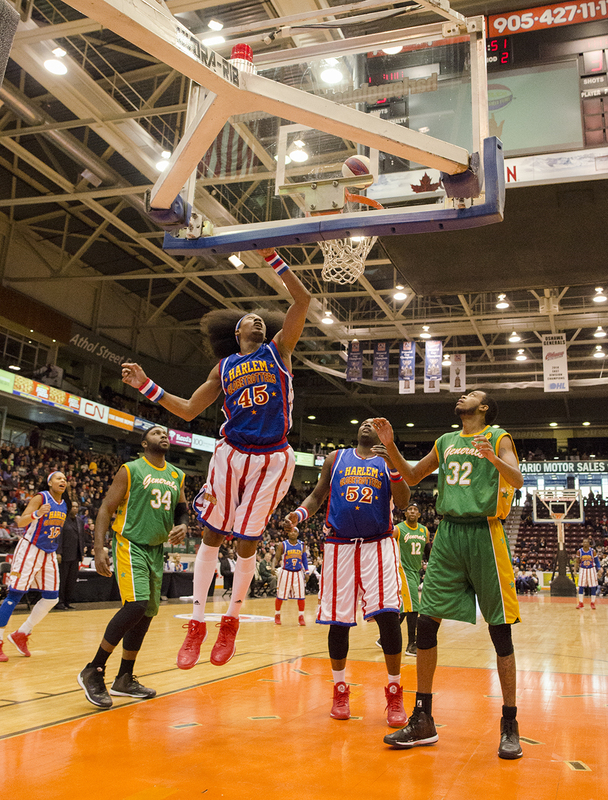 Moose, a member of the Harlem Globetrotters, takes it to the net at the GM Centre Feb. 15th.